Soul master Charles Bradley talks about the painful changes that shaped his latest album and the way that his raw, powerful music helps him transcend heartache. Editor's Note: Soul singer extraordinaire Charles Bradley has passed away from cancer at the age of 68. To honor his life's work, we are sharing this interview we conducted with Bradley just last year. "A real good artist learns to be a better person through all the changes they've been through. They keep their loving and honesty growing and learn to look at the world and not be full of hatred," says Charles Bradley, the 67-year-old powerhouse singer whose live shows and Daptone-released albums have revived a soul tradition embodied by Otis Redding and O.V. Wright. "With all the hurts they've been through, they find a loving way and a way to put their mind on something greater. That's what makes a good artist, a good singer, because you can hear the hurt in their voice and you can hear the love in their voice." Bradley is speaking in general, but he could easily be talking about himself. After a childhood in poverty and a life of hard work, Bradley found his art when asked, almost by accident, to perform as James Brown in a resort town one night. For nearly 40 years, he played the Godfather of Soul in nightclubs and theaters, making a name as "Black Velvet." Then he met Gabe Roth of Daptone Records who helped Bradley record on his own terms and in his own voice. In the 2012 documentary, Soul of America, Bradley explains that he's been singing like James Brown his whole life, and now it's time to learn to sing like Charles Bradley. "You know I love doing Charles Bradley, but Charles Bradley is more difficult than James Brown," he says, when asked how that transition is going. "With James Brown I just learn the lyrics and then get out there and get funky with it and let my spirit free. But doing Charles Bradley, it's a lot of true, intimate words coming out of me that show me the picture inside myself. I look at it and I say, 'Whoa.' And sometimes I'll be singing and I close my eyes and I can actually see the memories of the song that I'm singing." Those memories can be especially painful in the songs on Changes, which was written and recorded shortly after Bradley's mother died. He lives now in the house she left him in Brooklyn, surrounded by remembrances of her. "I would take her wherever I'd go. Not out of the country, but if I did shows inside the city, she'd always go with me," he recalled. "When she got real sick, I said, 'Mom, I'll bring the party to you.' I had about three bands come to the house and we would sing in front of the house and I brought the party to her." The song, "Changes", (originally by Black Sabbath) is dedicated to her. "The part in changes, the last verse, 'It took so long to realize, I can still hear her last goodbye and now all my days have turned to tears, I wish I could go back and change these years,' that's the part that I got so deeply emotionally into," Bradley says, his voice turning husky with feeling. "Me and my mom was constantly bonding together. A lot of the things she said to me I wish I had known a long time ago, but I did not know. I was learning the lyrics to 'Changes' at the same time she passed away, and it stuck to me." Bradley also wrote his latest album against a backdrop of racial tension and police violence, and while his lyrics touch on these dark elements, he opens with an uplifting spoken-word intro called "God Bless America". Bradley quotes scripture when asked how he can be so positive about an America that has often treated him harshly. "When Jesus was walking on Calvary, he said one thing, 'Father why dost thou forsake me?' And when he found the true love of being in heaven, he said 'God forgive them. They do not know what they do.' I was born in America. I was raised in America. And America truly has done me a lot of dirt, a lot of horrible things that I never will forget, but I know this is where I was born at. I just pick the pieces up and keep on going." The cut "Change for the World" takes a more dystopian view of modern day America, describing protest, institutional racism, violence in hallucinatory poetry. That strong language, Bradley says, is entirely justified. "Oh, it's scary right now. Very scary," he answers when asked about the state of the world. "If you look at it with your own eyes and you look at what's happening with the president and all this voting going on, I never see prejudice and the way people are fighting, physically fighting, against one another. It's never been that way in history. "You look at the police force. Violence is coming out of everything. You look at these young kids, young teenagers, coming up. They got guns. They have dreams, and they think the wrong way is the right way. What can we say to them?" he asks. "That's why I made that song." Bradley says that he, personally, tries not to go out too much because of how frightening the world has turned. "Even myself when I'm home in U.S.A. in the area where I was raised in. I don't go out that much unless I'm out going to the studio, recording, doing music, because when you walk out in the street, you look at people's eyes, you can see the animosity, the hurt in their eyes," he says. "You think it's getting better, because look at the computer, the flat screen TV, or people going out into space, but the personality and the humanity is getting worse." Bradley draws inspiration from a long line of individualists, singers across genres who made songs their own. "I love Cat Stevens, the old Cat Stevens. I like Otis Redding. I like Bobby Womack. I like Diana Ross, Aretha Franklin, and Ray Charles. Those kind of music you can feel it when they sing it," he says. "The music nowadays ... there are so many artists singing, and truthfully, they all kind of sound alike," he adds. "Back in the old days, if you heard Aretha Franklin, you knew it was Aretha Franklin. If you heard Bobby Womack, you know it was Bobby Womack. Singers nowadays, they've kind of all got the same temperament. They don't sound like the old school. So when I want to hear some good music, I go old school and go through my CDs and my albums and play those singers, because those singers still have meaning to me." 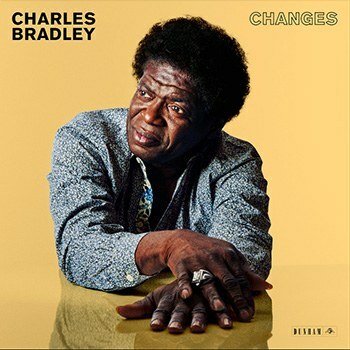 As the "Changes" cover demonstrates, songs from nearly any tradition can become Charles Bradley songs, as long as he's allowed to make them his own. "You know, I've got to feel it. If I can't feel it, I won't do it," he says. Case in point: Bradley was recently asked to cut a version of Neil Young's "Heart of Gold". "We played it over and over in the studio, and they'd say, 'Charles, you've got to sing it like Neil Young sings it. You have to do it near to the same way.' And I said, 'Hey man, I can't do that. I tried it and it just wouldn't fit.' I said, 'Let me do it the way I do it and I can find the empathy and I can put some dynamics into it the way I feel it.' I can never do it the way Neil Young do it. You got to actually let me do it the way I feel it in my soul." He concludes, "Whatever I'm doing, I'm putting Charles Bradley into it. I'm putting my spirit into it. If I put my spirit into it, I'm going to let it come out the way it sounds. " "These young guys love the ground that I walk on. They call me Pappa C. They love working with me.," says Bradley appreciatively. "But I say, guys, you gotta catch my spirit because when I get on stage live, I want to let my spirit free and really get into the music. What you have to learn is my dynamics and my phrases and my pauses and when I go off the song and get into the spirit, you've got to be ready for that," he adds. "But they're so willing to do this. I'm getting a really excellent feel from these guys." The band is out at a party when we talk, but Bradley says he needs to use the down time to refresh himself. After all, you can't expect to give the best live show in America at 68 without conserving your strength. "Any time, I can find myself the time to get away in my own solitude, my own cocoon, I go to my own space, and spiritually I talk to god in my own way," he says. "I say, this is a gift that you give to me, god, that I can do this. Give me greatness and honesty so I can go out and do it." "When I go out and do a live show, I want to be able to give everybody where I go a show. That's why, when I finish doing my shows, I go to my room," he explains. "I'm going to the hotel and cool out and get in my spirit, figure out what I did wrong, how can I make it better, so I'm a better person when I give my light and spirit to the world." Bradley is excited about touring, though. To him, it's the time when the songs he's worked so hard at on the album come fully to life. "I like the album, but I love doing it live. I went into the studio and did it over and over again until I got it right, but now I've got to do it live, that's when I break open ... I get to the dynamics of it. At the studio you've got to sing the song, because you've only got so many minutes to sing it, and all the spirit starts coming to me and I can't do it, put it all in one album, at that time. I can do it in the live show. That's why a lot of people like to come and see me do live shows, because at the shows, I'm going to give it to you." What about a live album? He lets out a long, low, appreciative "Oh yeah!" when asked. "I've been telling them about that for the longest time," he says. "In the music world, you've to got to keep crawling until you can walk, but one of these days I'm going to look forward to doing a live one." And meanwhile, Bradley would like more people to hear his record and come to his shows, not just for his benefit, but for theirs. "I just wish everybody would get my album and listen to it and see what I'm saying from my heart. I'm just trying to make an album where I know people will like to listen to and maybe will help them with their own personal life."